It features a rectangle shape. 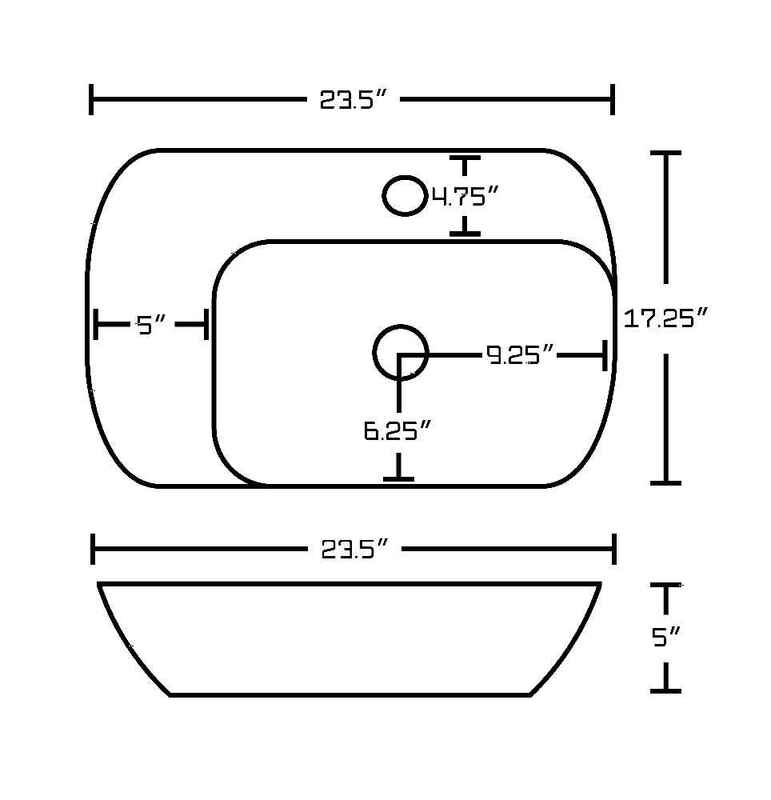 This vessel is designed to be installed as a above counter vessel. It is constructed with ceramic. This vessel comes with a enamel glaze finish in White color. It is designed for a 1 hole faucet. 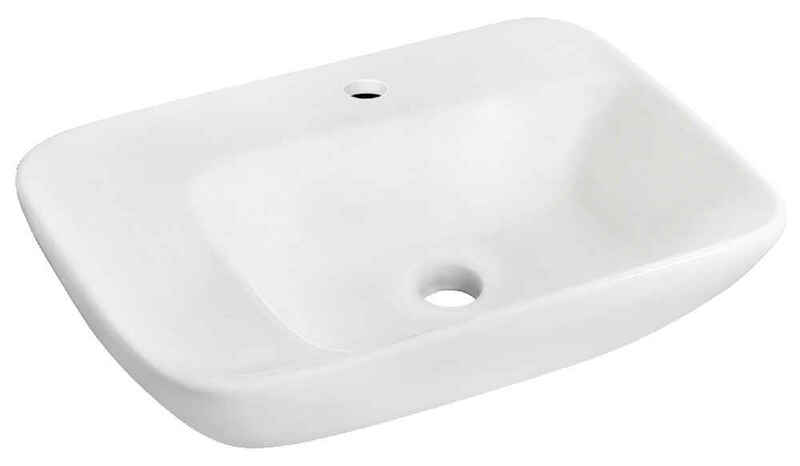 This vessel features a rectangle shape with a traditional style. 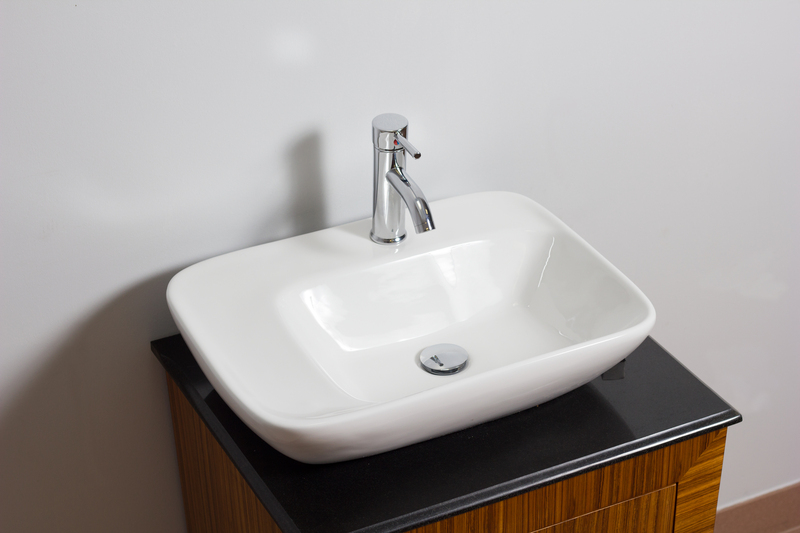 This vessel is designed for a 1 hole faucet and the faucet drilling location is on the center. 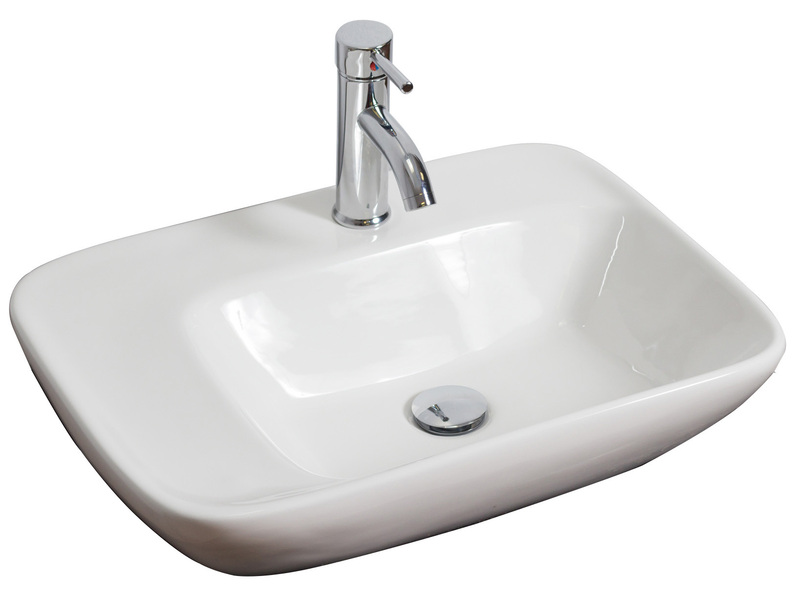 This vessel features 1 sink. This vessel is made with ceramic. 23.5-in. Width (left to right). 17.25-in. Depth (back to front). 5-in. Height (top to bottom). 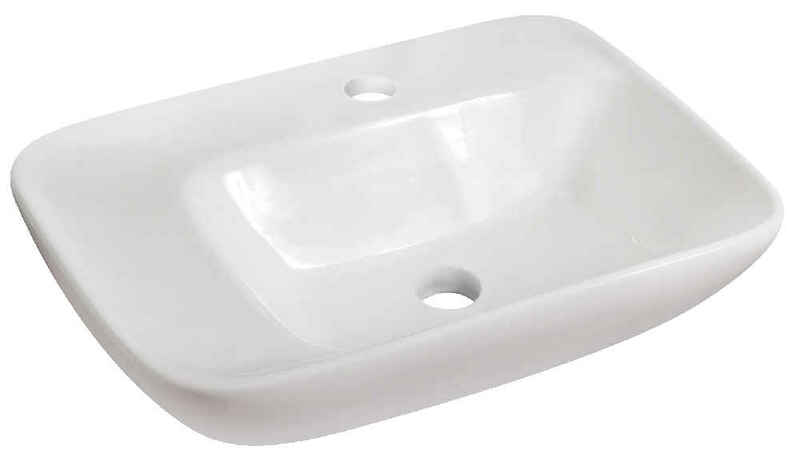 THIS PRODUCT INCLUDE(S): 1x vessel in white color (599).